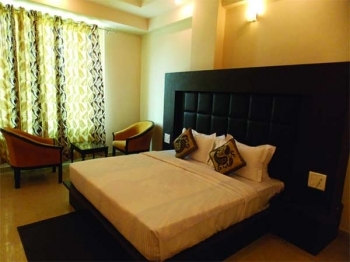 The Great Ananda is premier luxury hotel in Haridwar offer world class facilities. All Deluxe rooms at the hotel are well furnished to meet high level standard for both Indian and Foreign Guests. 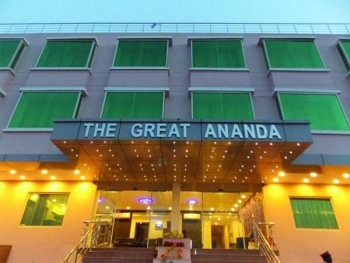 Hotel The Great Ananda offers Luxurious Stay on the most Affordable Rate. Hotel is carefully designed with flexibility in mind, with unique air conditioned Conference Rooms, versatile Syndicate Suites, and magnificent dining and entertaining facilities, The Hotel is extensively equipped to satisfy a wide range of Conference & Banqueting requirements. Hotel the Great Ananda is located near Shanti Kunj Ashram in Haridwar, just 5 kms from Har ki Pauri and 4.5 Kms from Haridwar Railway Station. Enjoy the serenity of Hotel Great Ananda with Himalayan Hills, Rajaji National Park, Chilla bird cenctury, Ganga river and the holy and spiritual city of Hardwar only minutes away. There are 36 well appointed AC rooms, with all the basic and modern facilities and amenities to make your stay comfortable in Haridwar. The rooms are categorised as Deluxe and Premium rooms. Deluxe rooms are most occupied rooms. Premium rooms at The Great Ananda most special and spacious rooms. These rooms are solely furnished to make the occupant feel the high quality services offered by the hotel.